India is so rich in culture, heritage and nature and so vast with every state letting you enjoy a distinctive experience. Every year, we try to take off to a new place in my home country India. 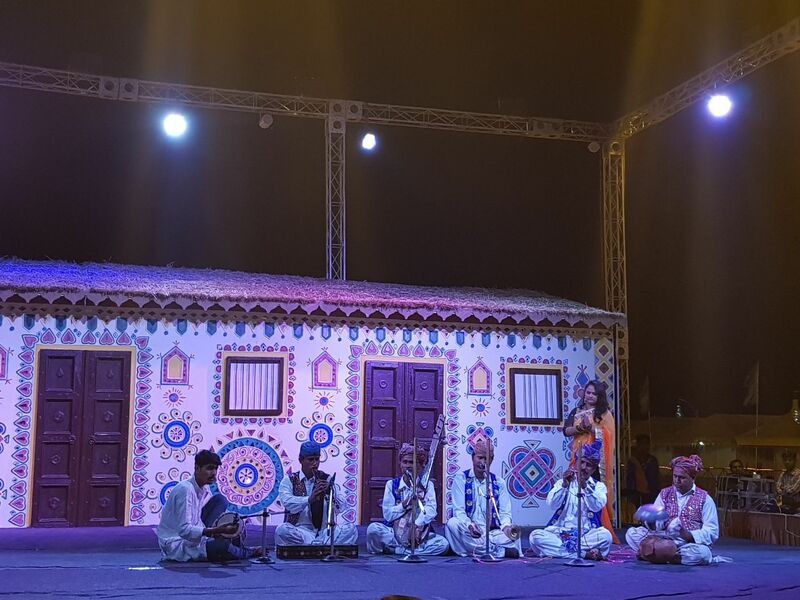 Earlier this year, we visited Kutch in Gujarat for the Rann Utsav or the White Desert Festival. Gujarat Tourism organizes the Kutch festival every year starting from November to February. 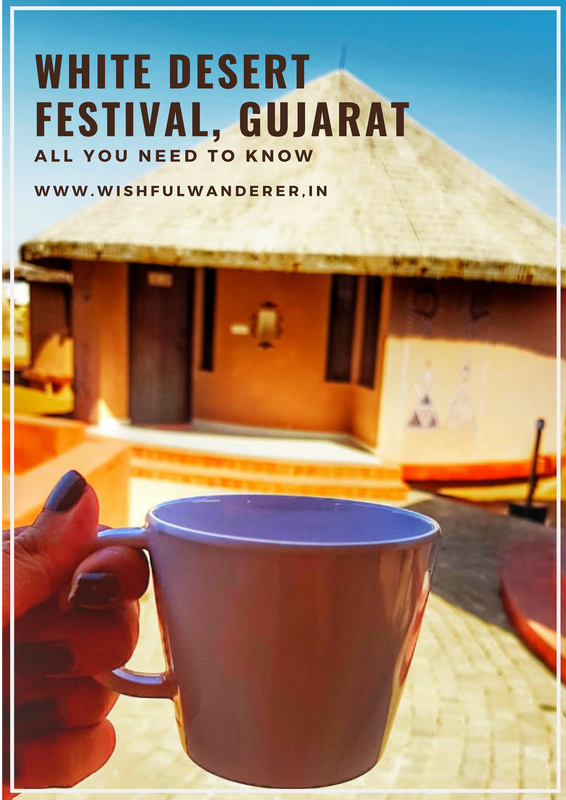 This festival offers you an all-inclusive package that includes your pick-up, accommodation, transportation, meals, tour around the desert and in the city alongwith a trip to the the highest peak of Kutch. They also have a cultural programme arranged every night at the resort itself to give you an authentic experience. The booking process is quite simple. You can log on to the official website or on the White Rann Resort website and make a booking. They have a helpline number as well to guide you through the process. The package includes everything from your pick up & drop, to your meals and sightseeing. You can choose from a 1 night, 2 night or a 3 night package, we would recommend the 2 night package atleast if you want to cover everything that the city has to offer. Kutch is about a 90 minutes drive from Bhuj airport or Bhuj station. There is a pick up arranged from the station and airport to the Tent City, where the festival takes place, so you don’t need to worry about it. You just need to share your flight/train details at the time of booking for the transfers to be arranged. There are two properties at the Tent City and we were staying at the White Rann Resort. At the White Rann Resort, there are two types of rooms – the tents or the bhunga. Now the tents are not your regular camping tents, these are luxury tents which are just like a hotel room only look like a tent from the outside. The bhunga, which we chose to stay in, are craftily-designed circular huts, again not like the regular huts, but they give you the feel of the traditional Kutch homes, the outer walls make it look like they are made out of mud letting you enjoy the desert life! On the inside however, they were your regular rooms with all your basic amenities. The property is huge, with one area dedicated to the tents and the other for the Bhungas. There is an amphitheatre in the centre of the tented area, a dining area close to the entrance and a recreation zone for other activities like indoor games, table tennis, library, etc. The food at the property is great, there is a buffet for every meal and they have a tie up with Courtyard by Marriott. You get to enjoy authentic Gujarati food alongwith some refreshing beverages like Chaas (buttermilk). Don’t forget to save space for dessert as they serve some delicious Indian sweets like Gajar Ka Halwa, Moong Dal Halwa, Jalebis and Coconut Barfi. Coming to the whole purpose of this trip, the visit to the Great Rann Of Kutch, one of the largest salt deserts in the world! It is supposed to be one of the hottest areas in the summers with the temperatures going up to 50 degree celsius, hence, this festival only happens in the winters. 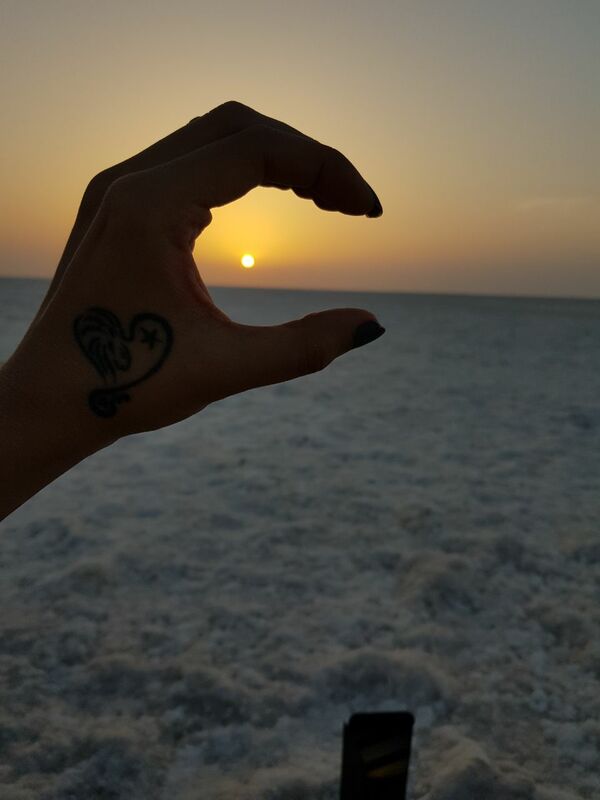 The tour has fixed timings for a visit to the Rann of Kutch, one before sunrise and once before sunset. 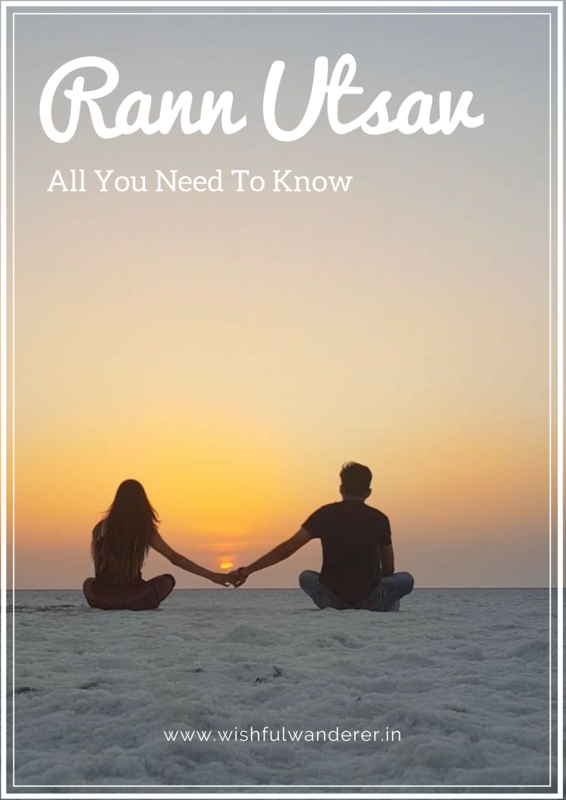 The double decker bus picks you up from your resort and takes you to the White Rann, you have lots of time to walk around, take pictures, pose, take a camel ride and basically just admire the beauty of kilometres of white salt and the beautiful sunset. Here are some pictures we clicked on our visit. Unbelievable right? On the second day of the tour, you have an option of going to Kalo Dungar, the highest peak of Kutch located about 45 kms from the resort. Located close to the Pakistan border, you can enjoy a panoramic view of the Rann of Kutch from here. There is a lot happening once you reach the peak; cultural music, street food, shopping and temples. Other than this, the package includes a trip to the handicrafts village where you can shop for local handicrafts, shoes, bags, sarees, souvenirs, etc. Also, every night at the amphitheatre, there is a cultural musical programme that happens. It’s wonderful to see the performances by local artists. This is followed by a game of housie where everyone can participate and can win some fun prizes too! Overall, if you’re planning a short getaway with your family, this culturally rich experience is something you should consider. And don’t forget to carry your DSLRs to capture some amazing memories. Posted in Budget Travel Tips, Gujarat, India, Places to visit, Travel, Weekend Getaway, Where To Stay, World TravelTagged #TravelWithC, award winning travel blogs, best indian travel bloggers, best indian travel blogs, black hill gujarat, budget travel, chandni tolani, featured, great rann of kutch, Gujarat, gujarat tourism, hotels, incredible india, india, india travel, indian travel bloggers, international travel blogs, kachch, kalo dungar, luxury resorts, magnetic field kalo dungar, rann utsav, rannutsav, salt desert gujarat, travel, travel bloggers, travel diaries, weekend getaway, where to stay, white desert festival, white rann, wishful wanderer, world travelBookmark the permalink. I’ve never heard of Rann Utsav but wow this looks amazing! I need to go here now! You definitely should plan a trip! This place is entirely new to me but the desert photos are incredible! Thank you! Aren’t they amazing? The RannUtsav looks amazing. Thanks for quoting the price, seems really affordable so might consider visiting next time around! You definitely should! India is full of surprises and every part is so distinct from the other. The desert sand is fantastic! And the place, the resort, seems really amazing! What is actually this festival about? It is just a cultural festival where they get you acquainted with the local food, handicrafts and take you around the place for a tour. Since it gets too hot in the summer, it is only possible to visit this place for 4 months in the year. Wow! This seems like an amazing cultural immersion trip. 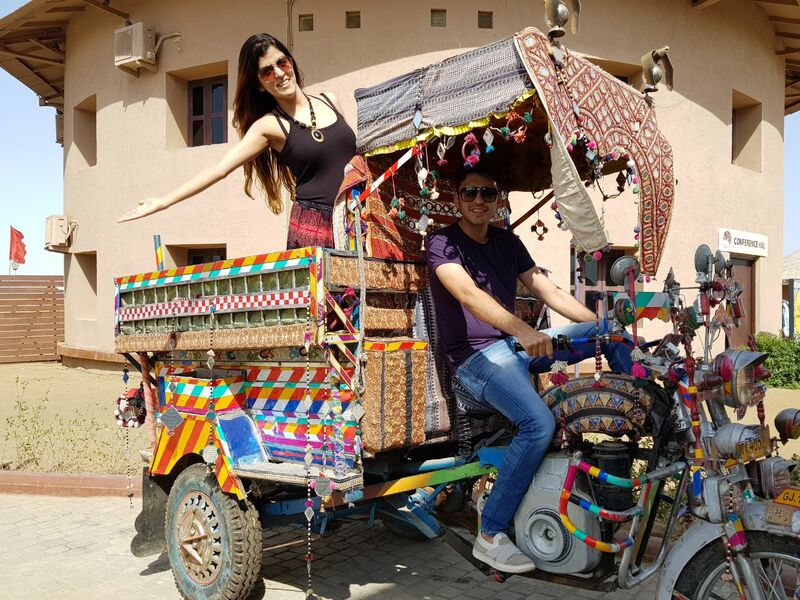 Even for an Indian from the city, it won’t be easy to find a better way to enjoy the full experience. Thanks for sharing the details. I’d love to visit. I’ll bookmark for reference. You definitely should visit. Especially if you want to enjoy a relaxing weekend getaway. I’ve never heard about the Ran Ustav before but I definitely want to visit after reading this. I’m so glad I came across this article! You definitely should! Glad I could acquaint you with something new. I will definitely choose a Bhunga when I visit. Thanks for suggesting, I am planning to go in January to Rann of Kutch for the festival. Your detailed post gave me a perspective on what to expect. Glad I could help! Do share all about your experience with me! I must admit this is the first time I’ve heard about Rann Utsav or the White Desert Festival in Kutch, Gujarat. It sounds like a festival I’d love to go to. The desert sand, or salt I should say, really is WHITE! It’s good that the tour only runs in winter because I don’t think I can handle 50 degrees celcius in summer. The bhunga sounds like a cool place to stay in. I like the fact that it makes you feel like you’re staying in a traditional Kutch home. One of the fun things about joining Facebook travel bloggers groups is that I get exposed to all sorts of interesting travel bloggers that I might not have otherwise found on my own. And I get to learn about places I never knew existed…like this one! This looks like a really neat place. Great pics, btw, especially of the sunset! Thank you! True, it’s helped me plan my vacations as well. Wow, thanks for the detailed post. Love the pics and the sand, looks like snow or salt from the pictures. I like that you recommend where to stay and the cost spent while staying. Wow- the salt desert looks absolutely amazing. I didn’t know such a thing existed, but it looks so calm and peaceful- I’d love to visit someday!! I cannot believe the festival goes for that long. Although I have to say it sounds like a great time. I love your pictures as well. Chasing the sun in the desert. So beautiful. It is great that accomodations and transportation is all arranged. It is gorgeous, you should check it out! Worked for them before I became a nurse and she would tell me they were everywhere). That touched me. Thank you! Oh how lovely is that. 🙂 We were mighty impressed with the food from the Marriott. I am yet to visit the Rann Utsav in Kutch even though I’m from Gujarat. Whenever I do visit, I will try and make it on a full moon day. I guess it will be fun! Oh yes! You must plan a visit soon since it’s festival time right now. 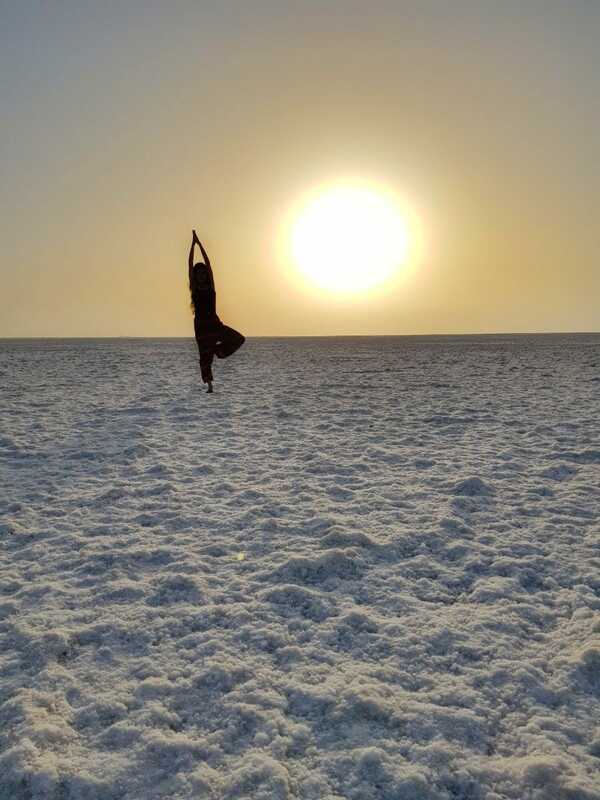 The salt desert looks so amazing and so are your pictures. It is nice that you’re adding other possible places to visit in this itinerary also. The salt desert looks so mesmerizing and so are your beautiful pictures. It is nice that you’re adding other possible places to visit in this itinerary also. 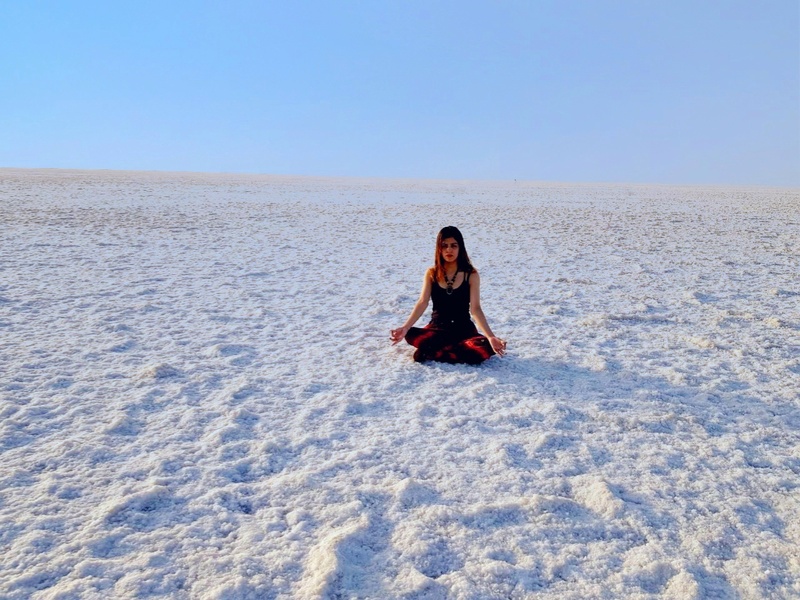 The pictures of the Great Rann Of Kutch will all this salt are jut stunning and it’s unbelievable this place exists, never heard about it! I love how detailed this blog makes me want to book now. It looks really nice and the pictures are beautiful captured. I have been to Kutch many times when I was a child but not been to Rann Utsav. But this festival looks very colorful, cheerful with white deserts in the backdrop. You have taken nice pictures with sun during sunset. Oh you definitely should, it’s delightful! Have heard so many good things about Rann Utsav but your pictures brings it alive. What an amazing landscape and colorful festival! This post remind me our visit to the Great Rann of Kutch during Rann Utsav in 2017. 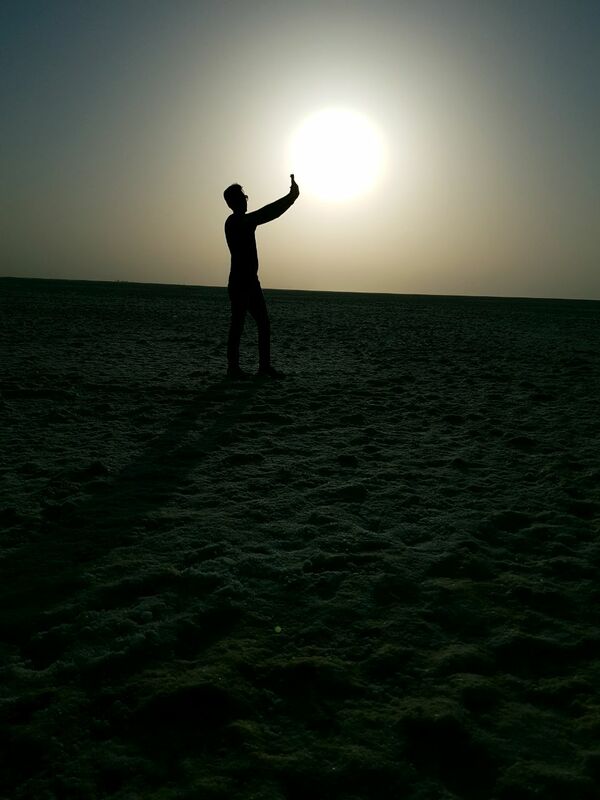 Had visited the white desert both in moonlight and sunrise. Yeah, absolutely an amazing experience for a lifetime. How lovely! Would love to see your pics, do share a link. Such beautiful photographs! And this post opened up old wounds 😦 How? We try to travel to somewhere new on 1st January (a belief that what we do on the 1st day of the year, we’ll get to do for the rest of the year) every year. 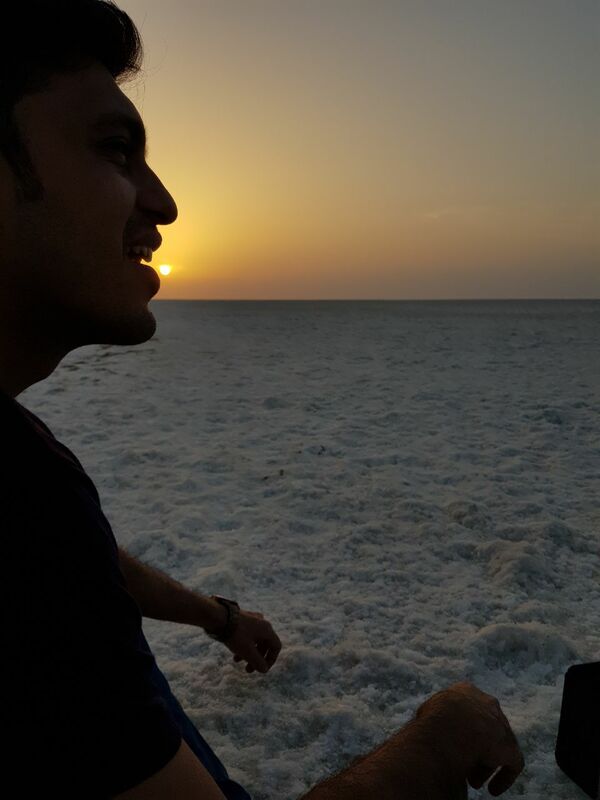 We had booked a trip to Rann Of Kutch this new year. Sadly, on January 1st, 2018, we missed our flight to Ahmedabad and Indigo failed to arrange for another. Alas! We couldn’t see the white desert shining under the magical sunset light. 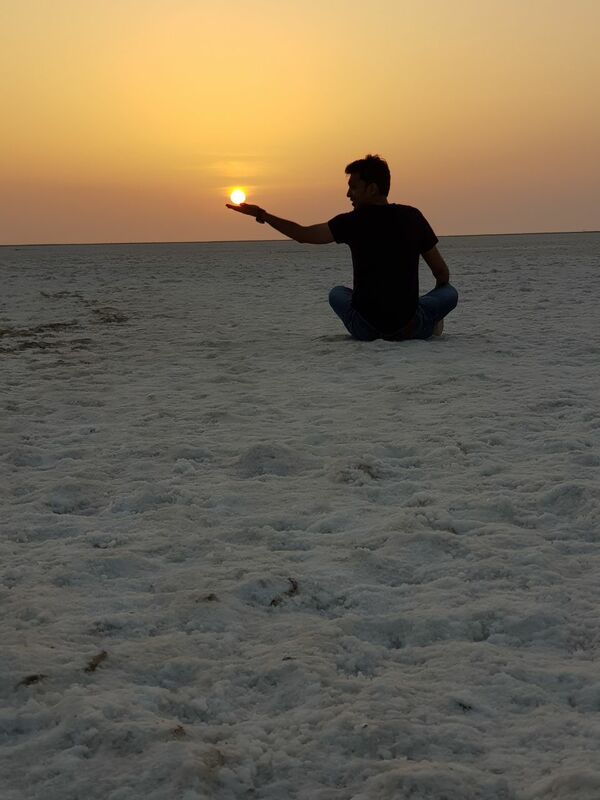 The Rann of Kutch remains the bucket list item. Your pix are great and truly alluring. The package for the festival sounds just great – they really seem to pamper you and make it really easy, that’s nice. Yeah it’s a great place to go to if you don’t want to plan much and just go with the flow! What a lovely destination! Your pictures of the salt desert are fantastic! It is such a unique place! I’ve never heard of this place but it looks fantastic. Those sunset shots are amazing. Will have to keep this in mind for future India trips. Yeah, it’s a playground for photography. You definitely should, India is beautiful and so diverse. Alright! Booking a flight back to India soon. Love the sunset pics and getting nostalgic about the time I lived there. omg those salt [pictures are amazing!! heading back to india in the next couple of years and this is so on my list!! I had no idea there were salt deserts in India!! Have always wanted to go to Gujarat and now I definitely will, if only to visit the Great Rann of Kutch! Loved reading about your adventures there. I think this is the kind of experience that makes us grow. Thanks for sharing. Glad you enjoyed the read! Thank you! This looks super exciting! I’d love to see some photos of your tent since you said this are not just simple tents I’m now curious how beautiful it is in the inside. Would love to experience this soon!